Hey Loves! 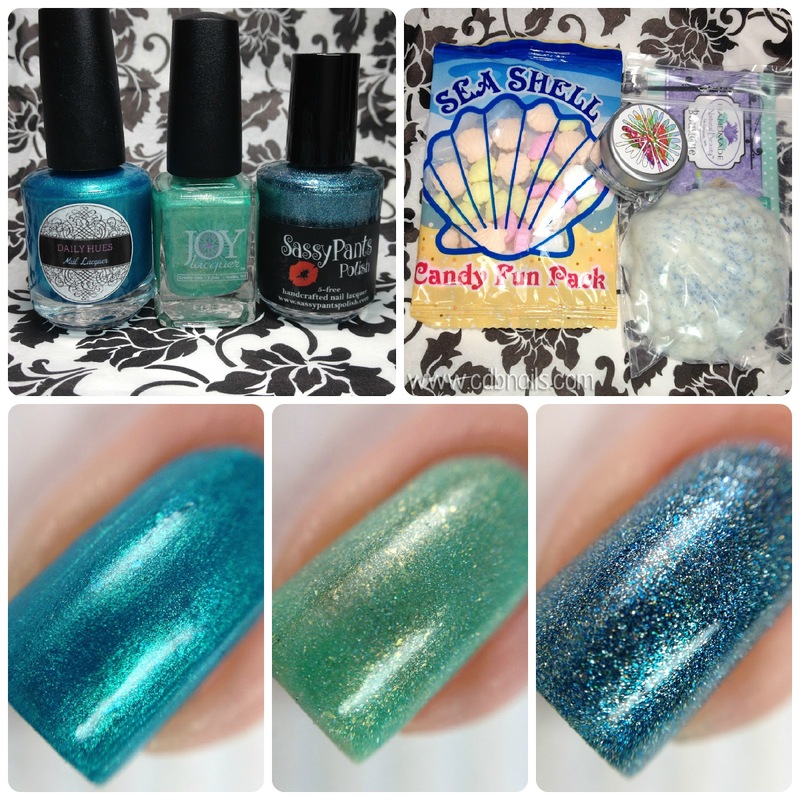 Today I have this months Sassy Pants 'n' Friends Box to share with you. This month's box theme is called Buffett of Oceans, which is inspired by musician, Jimmy Buffett. 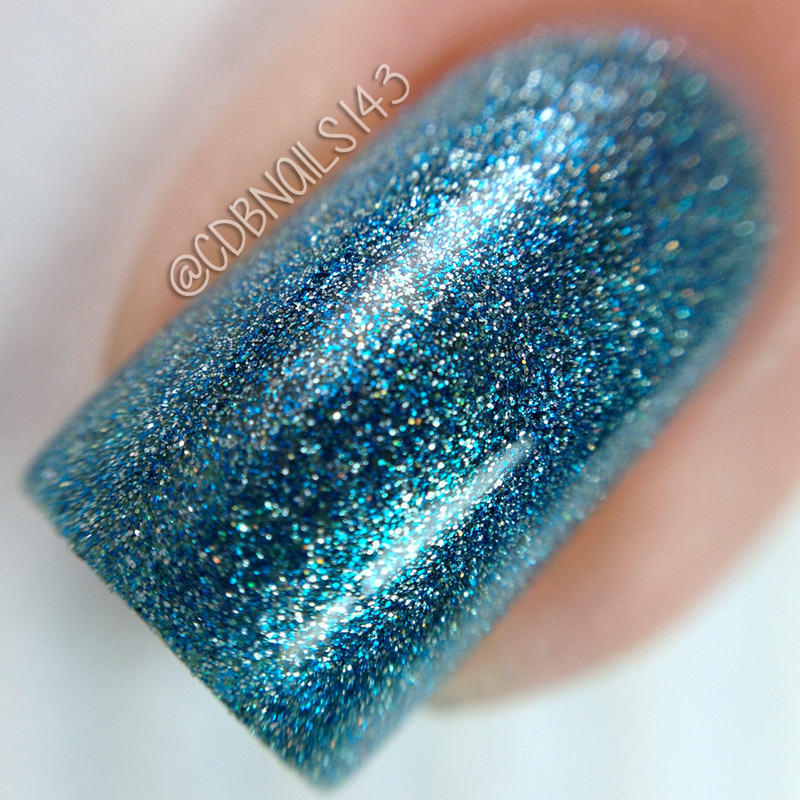 The two indies Angie collaborated with this time around are Daily Hues Nail Lacquer and Joy Lacquer. Let's get to it! Let's Start with the extra goodies the box comes with! 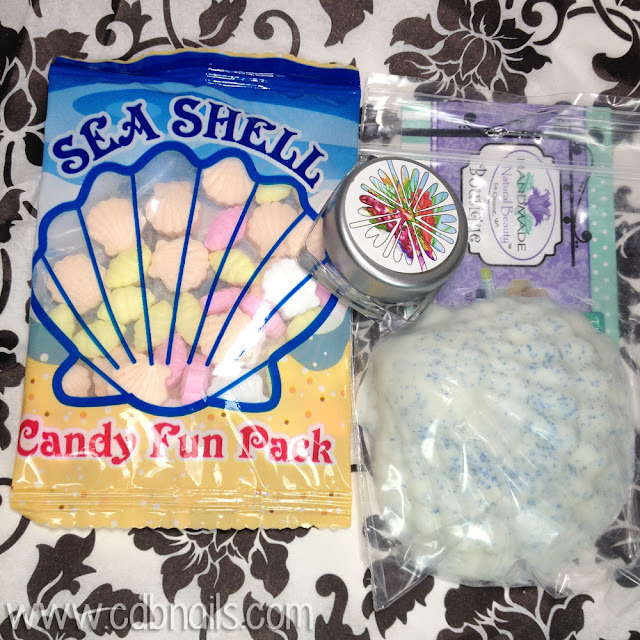 A small bag of seashell shaped candy's, a cuticle balm as well as a soap, also shaped like a seashell. The candy reminded me of the Valentine Conversation hearts and I ate them all in the matter of minutes haha. 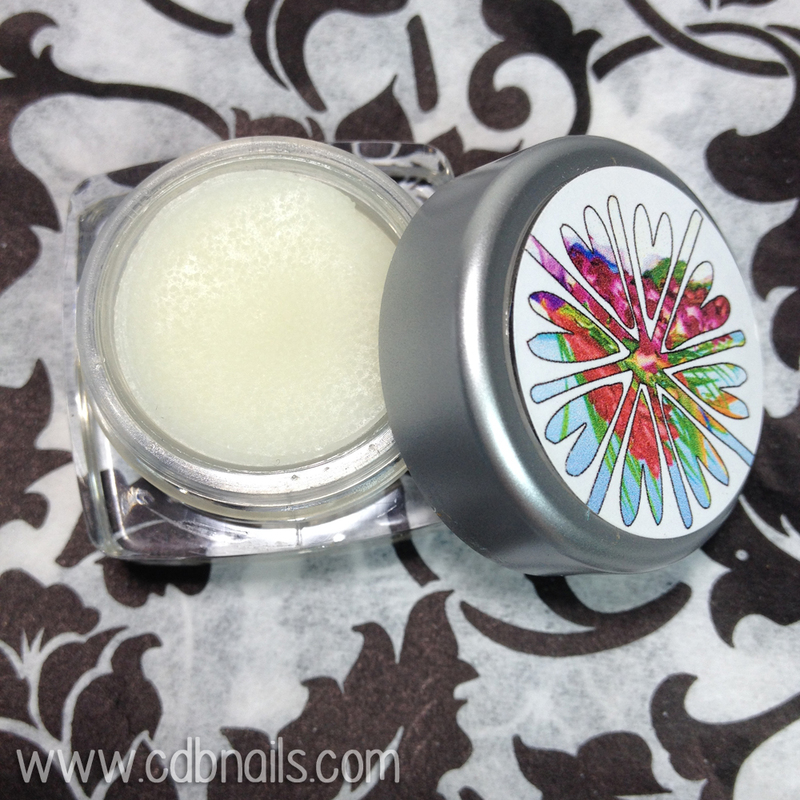 Joy Lacquers extra contribution was the cuticle balm in a tropical scent. Smelled super good and was very moisturizing. It felt a little thicker then most balms I'm used to but still worked great. And Lastly, my favorite of the extras. 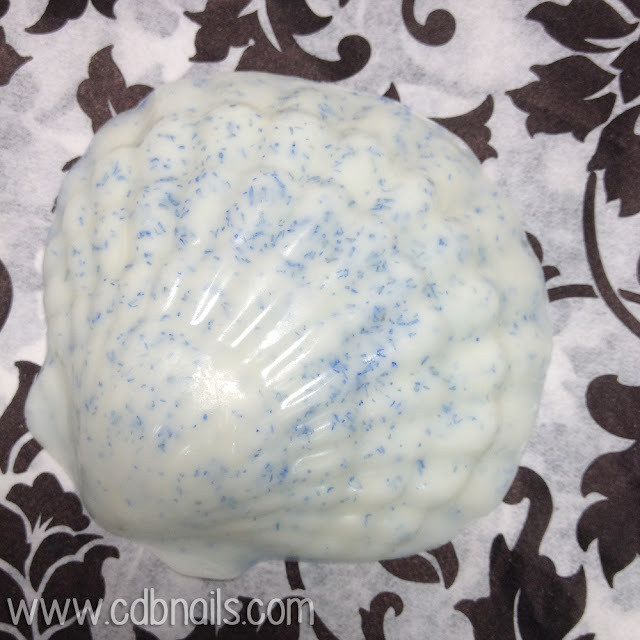 By SassyPants Polish, the handmade soap. This smells so so good and I love the way my hands feel after using it. while “Wastin' away again in Margaritaville Searching for my lost shaker of salt.”. I applied two coats to achieve full opacity and sealed it with a glossy top coat. Formula was great and applied well. A Pirate Looks at 40 is described as a seafoam green representing the open ocean with a gold linear holo and white shimmer which one might envision a pirate’s treasure to be. I applied two coats to achieve full opacity and sealed it with a glossy top coat. Formula was great and applied well. “Yes, I am a pirate two hundred years too late. It's 5 o'clock Somewhere is described as a cerulean/teal blue with golden shimmer. It was inspired by Jenn’s dream vacation: to stay on an over the water hut in Tahiti and experience all the blues in the water and sky. I applied three thin coats to achieve full opacity and sealed it with a glossy top coat. Formula was pretty opaque with the first two coats but I did a third to fill in any of the tiny patches. Overall, I really enjoyed this box. It;s probably my favorite color shade wise so far out of all the Sassypants and Friends Boxes. I can't really pick a favorite, but what is yours? The Buffett of Oceans Box is now available for purchase with the first 10 orders ready to ship. Pre-orders are open until June 25th with remaining orders shipping the first week of August. Each box retails for $29.99, including US shipping. International is $26.99 plus shipping. You can purchase the box through Sassy Pants Polish shop www.sassypantspolish.com. They are all stunning and so are your swatches...my favorite collection ever!